DPP's newest issue gives you 100 Essential Photo Tips from varying genre from landscapes, portraits, wildlife, black and white, action shots, until shooting techniques to editing. 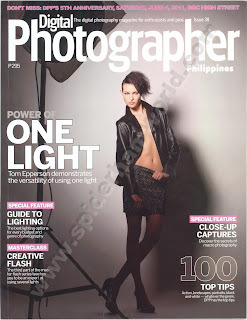 The issue features a 10-page guide on how to utilize single light as Tom Epperson reveals its versatility. There's also a special feature on macro photography with 11 pages of great shots from experts plus their tips on how to get pro-like captures. And for Photoshop enthusiast, they have added techniques for smoke art. DPP added an article on how to start a photography business on their Career Guide section. Pro shares some tips on how to start with low budgets as the article discuss how to make your career and budget a long way. There's a lead story about mirrorless DSLR where some experts investigate if it can be the future of photography. I like reading the 10-page lens special which guides you on which lens to use for genre of photography. Some cameras and accessories featured and reviewed on this issue are Olympus PEN E-PL2, Sony DT 30mm f2.8 Macro SAM, Sony 85mm f2.8 SAM, Nikon AF-S Nikkor 24-120mm f4G ED VR, Canon Speedlite 270EX, Olympus FL-50R, Nikon SB 400 and Nikon SB 900 plus some lighting accessories from Phottix. 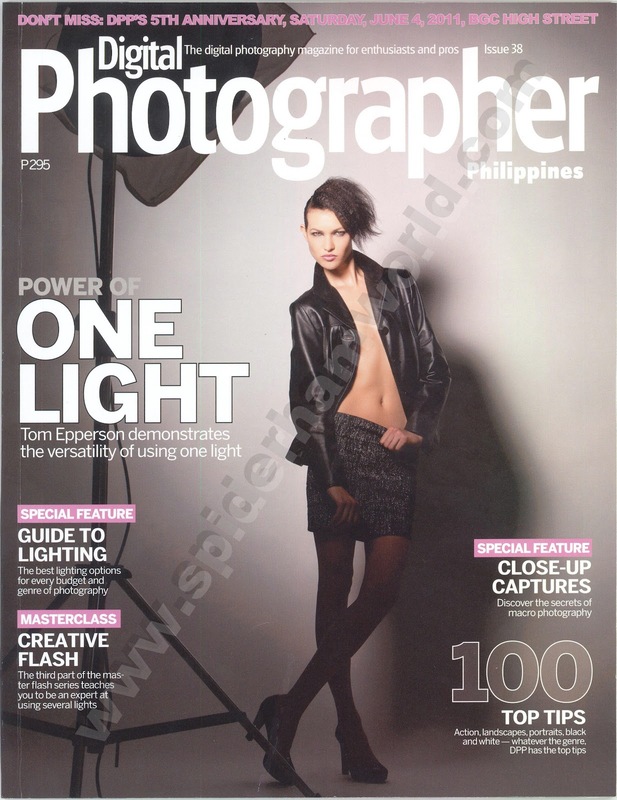 Digital Photographer Philippines number 38 is now available at your magazine stands and some book stores. good magazine articles lalo na dumadami ang nagveventure sa photograhy thingy.